Chevy has made it clear that the 2015 Corvette Z06 is the most track capable Corvette ever made for the streets. Motor Trend got its hands on a version of the car with all the aero goodies and the paddle shift 8-speed automatic transmission and proceeded to beat the crap out of the car on the racetrack all day. The track day abuse also netted us some real world performance metrics, and they are impressive. The Z06 was able to reach 60mph in 3.2 seconds from a standstill. It has impressive braking too with the ability to go from 60mph to zero in only 91 feet. The car has levels of lateral acceleration that Motor Trend says is the highest ever measured for a non-race car at 1.16g. As Motor Trend is apt to do, they also turned the car over to their tame racing driver Randy Pobst and sent him out to dominate Road Atlanta in the car. He was able to put down a lap time of 1:30, which is very fast for a streetcar. The Z06 that put down that lap time has the most aggressive aero package called Stage III. 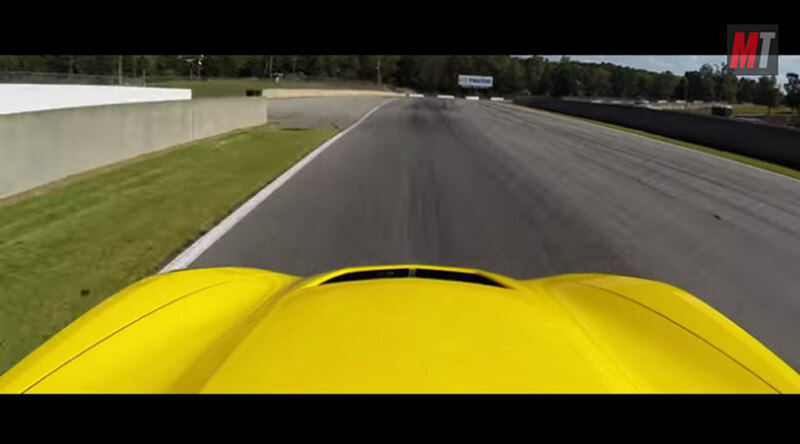 You can watch the video of the track test here and see how impressive the Corvette is.